Kisarazu Washington Hotel opened in Kisarazu City, Chiba Prefecture on October 28, 2017. 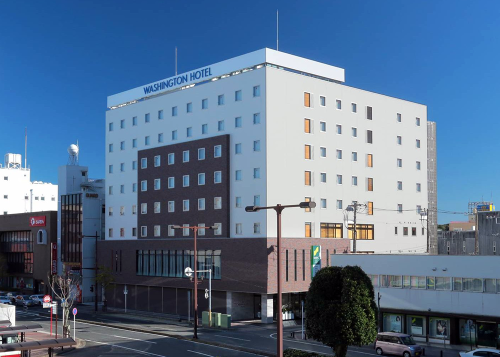 The hotel will be the 26th and newest property in the Fujita Kanko‘s Washington Hotel brand, a collection of modestly-priced, simple yet functional hotels located in key destinations throughout Japan. Kisarazu, a port city located on the Boso Peninsula east of Tokyo on Tokyo Bay, boasts easy access to key locations around Tokyo via the Tokyo Bay Aqua-Line, a bridge-tunnel connecting Kisarazu and Tokyo-neighboring Kawasaki. This route provides fast access to Haneda airport (approximately 30-minute drive), and Tokyo’s city center (approximately 50-minute or longer drive). Public transportation also connects Kisarazu with these gateway destinations, as well as with popular leisure spots all over the Boso Peninsula, such as the 41-mile long Kujukuri Beach and others offering scenic beauty and seasonal activities surrounded by nature. The 146-room hotel is conveniently located only one minute from the Kisarazu Japan Railway (JR) station. All guest rooms feature separate toilets/bathrooms for additional comfort. The hotel facilities include a banquet room and a restaurant featuring an open kitchen that serves dishes prepared with fresh local produce and seafood from Chiba. Rack rates are 12,960 yen for single rooms and 16,200 yen for double rooms.